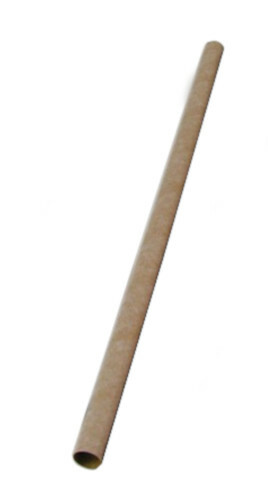 It’s hard to get excited about a cardboard tube. But, when that tube opens up new possibilities for model rocketry, it is newsworthy. Odd’l Rockets is now producing a thicker-walled, heavier BT-20 body tube, the BT-20H. The BT-20H is now available from JonRocket.com. Here are reasons why you should be excited about the new BT20-H body tube. The BT-20H is thicker and more durable than a standard BT-20. The inside diameter of the BT-20H is the same as the inside diameter of a standard BT-20 body tube, 0.710 inches (just a hair over 18mm). But, the wall of the BT-20H is about 60% thicker – 0.021 inches thick versus 0.013 inches for a plain BT-20. This extra thickness makes the tube much stronger. The BT-20H is perfect for 18mm motor mounts. A rocket’s motor mount can take some abuse as you insert and remove motors and during flight from the thrust of the motor and the ejection charge, so the extra strength of the BT-20H makes it a good choice in motor mounts for standard size motors. The inside diameter of the BT-20H is the same as the BT-20, so you can use a standard 18mm thrust ring. Standard engine hooks also work and there’s less chance of the tube tearing in the slot you make for the top of the hook. A more robust engine mount made with a BT-20H is perfect for use with the powerful 18mm composite D motors from Quest. You can use standard centering rings. Even though the outside diameter of the BT-20H is larger than the BT-20’s, you can still use standard BT-20 centering rings. The inside of a standard centering ring can easily be sanded (or peeled) to fit the slightly larger diameter of the BT-20H. You can use standard nose cones. Standard BT-20 nose cones fit the BT-20H tubes. Because the BT-20H is slightly larger in diameter than a BT-20, there might be a small lip around the end of the body tube. 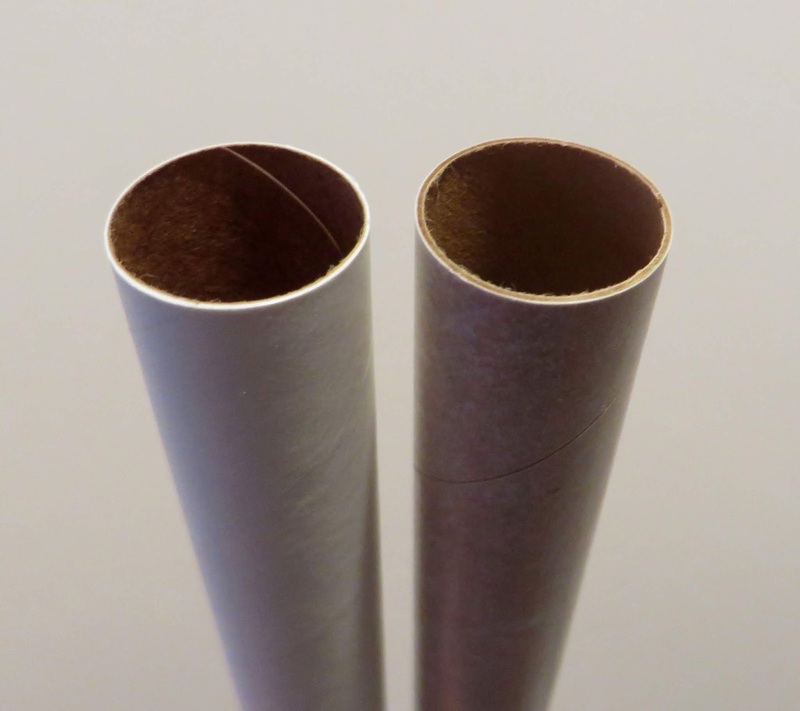 The thicker BT-20H provides better heat resistance than thinner BT-20 tubes. Being more resistant to the effects of the motor’s ejection charge makes the BT-20H a better choice for motor tubes and, especially, for stuffer tubes. BT-20Hs are easier to work with. Being thicker and more durable makes the BT-20Hs easier to cut and less likely to be crushed during construction of a rocket. 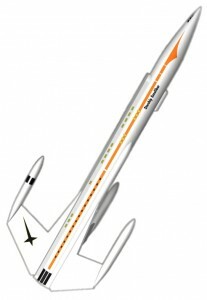 The BT-20H extra-strength body tube is now available from JonRocket.com. In 1970, Estes introduced the Goblin as a free kit which they included with some orders. In 1972, it appeared for sale in their catalog. Estes recently reintroduced the kit which is available at JonRocket.com. With a 24mm motor mount and streamer recovery, the Goblin is designed for high-flying. And, with a yellow and black paint scheme and classic decals, the Goblin also looks good sitting still. One of the newest additions to our online catalog is the Quest X-30 Aerospace Plane flying model rocket kit. Although new to our catalog, the X-30 kit has been out of production for several years. We were fortunate to have acquired a number of these vintage kits which are now for sale at JonRocket.com. Chris Michielssen built the X-30 shown in the photograph. He describes building and finishing the kit in a series of articles in his Model Rocket Building Blog. Chris illustrates his blog posts with step-by-step photographs of the construction of the kit. Assembled, the X-30 is a little over 17″ long. It flies on a C6-3 motor and is recovered using two 12″ parachutes. An Estes C6-3 is probably better-suited for this draggy model than a Quest C6-3. And, you may wish to replace the two small parachutes with a single 18″ parachute. A single parachute is easier to fit in the rocket and less likely to tangle on deployment. While it is challenging to build, and can be a finicky flier, the Quest X-30 kit will make a unique addition to your rocketry fleet. Rocketarium continues to create unique kits that take advantage of computer-aided design and production. The Mega Rebel and Retro Rebel kits feature dozens of precision-cut plywood pieces which go together like a 3-D jigsaw puzzle to create a couple of amazing looking, and great flying, model rockets. The two new kits are now available at JonRocket.com. We’ve added a number of new products to our online catalog just in time for Spring building! Semroc has introduced the Starship Excalibur. 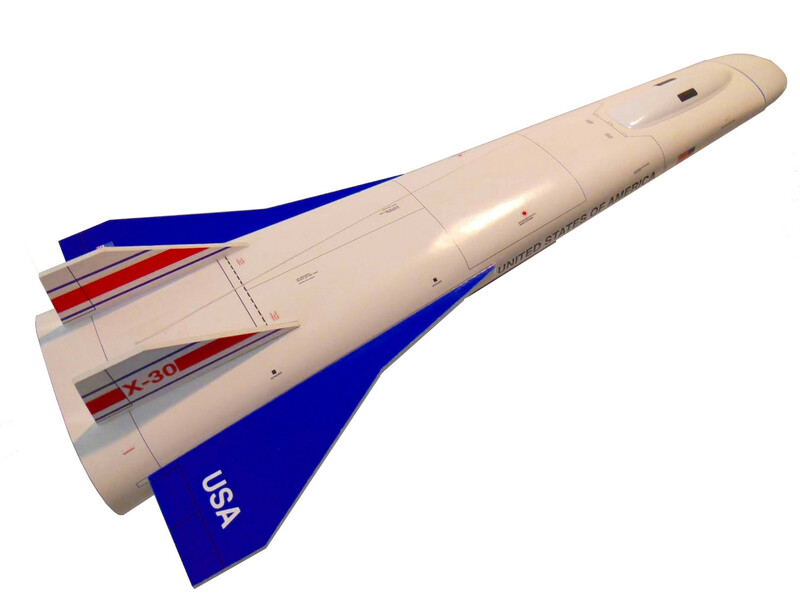 Based on “Estes Kit Plan #55,” the Excalibur kit models is a retro-futuristic space ship. We’ve also add two other new kits from Semroc. The Centurion-F is a larger model rocket which flies on 29mm motors and the Maxi-Micron is an upscale of the classic Centuri beginner’s kit. From Estes, we’ve add the new Astron Sprint-XL. An upscale of the classic Astron Sprint designed by Mike Dorffler, the XL features ellipitical fins and a sleek boat tail. Other additions to our catalog include the Mini Fat Boy and more parachutes from Top Flight Recovery. We recently added a few new products from Estes and Semroc. You can see a list of all the recently added products on our New Products Page. In the past few days, we’ve added many new products to the JonRocket.com online catalog and we are planning to add more in the days to come. 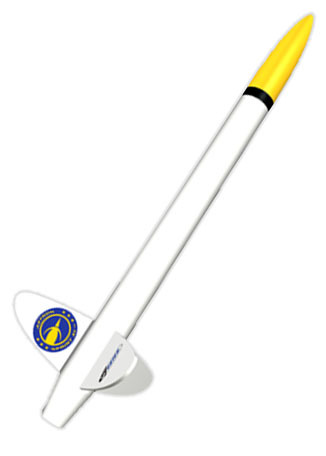 We’ve added a number of exciting products from Estes including the mid-power Leviathan Pro Series II Model Rocket Kit. 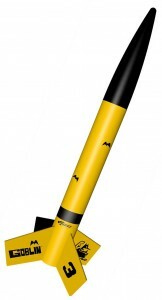 Recently added products from Semroc include the Wac Corporal Scale Model Rocket Kit. Rocketarium has supplied us with some new scale model kits as well as a few new odd-rocs. Visit the New Products at JonRocket.com page to see the complete list of the recently added products. NASA’s proposed follow-on to the Space Shuttle program is called the Space Launch System (SLS). At the heart of the SLS is a large booster rocket. Based on NASA artist conceptions, Dr. Zooch has produced a flying model rocket kit of the proposed SLS booster. I took the attached photo at the Tripoli Tampa Rocketry Association Launch a few weeks ago. It captures the lift-off of a Dr. Zooch SLS kit built by Chris Michielssen. As explained in a series of posts to his excellent Model Rocket Building Blog, Chris modified the kit a little by adding a few home-made decals and changing the position of the Solid Rocket Boosters (SRB)s.
Note the “flame fins” which attach to the rocket for flight to ensure that the rocket is stable. Chris has painted them to resemble the flames from SRBs. Chris describes how he builds and paints flame fins in his blog. The Dr. Zooch SLS kit is available from JonRocket.com.